Oh hey- it's that time again. Time for the temperatures to be dipping to the 30's. Time for me to refuse to go outside, unless I am bundled like a small child. Gloves are necessary for me when the temperature gets chilly. I have a beautiful black leather pair that Will brought back from Argentina for me. I do love how soft and warm they are, but I'm interested in something a little more fun this year. This pink polka dot pair from Madewell is calling my name. 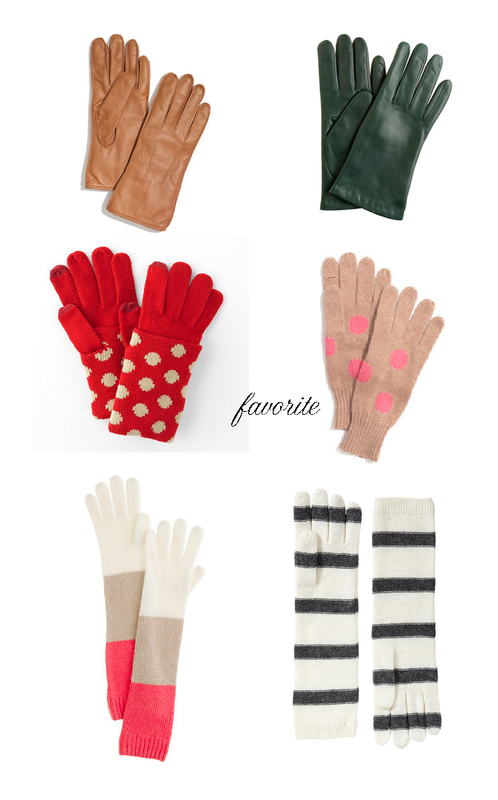 A long pair of stripped gloves would be fun too, or you can keep it classic with a simple pair of leather gloves. Which pair will you choose?